Jimmy was our plumber. He responded very timely on a Sunday morning to a leak in the PVC tubing in our attic. He was very helpful and professional! As always, good work by Chris! Bob was very knowledgeable of what was my plumbing issue!!! He was kind and welcoming. 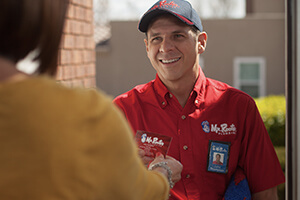 Thanks Mr Rooter for my well done plumbing experience!!! !